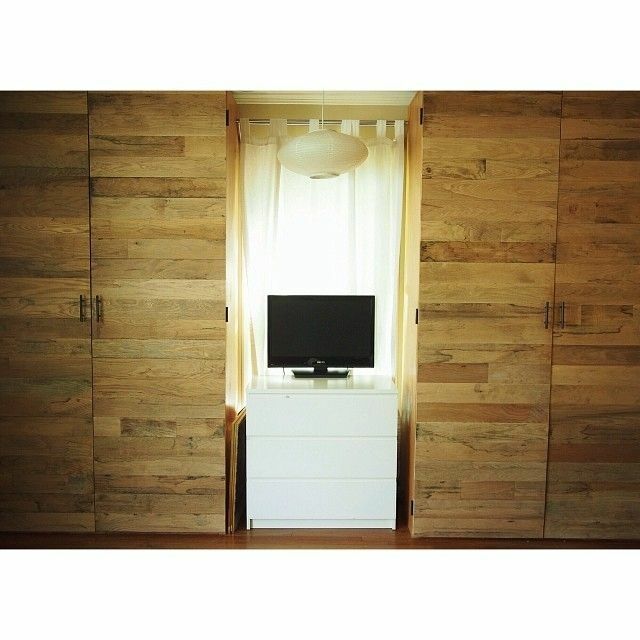 These eclectic/modern wardrobes are made of veneered oak plywood and reclaimed oak flooring for the doors. Two were made for this client, but just one can be made, or whatever you need! 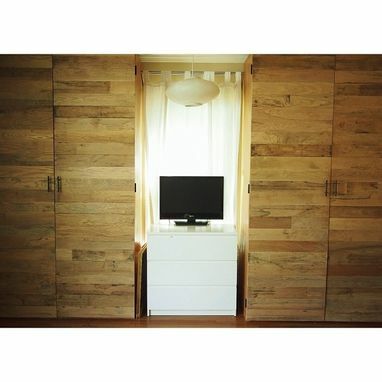 Perfect for the bedroom that is lacking storage for clothes. It can have shelving units from Ikea/Container Store/Home Depot installed to customize it the way you want or shelving can be built in.